Young Sports Personality of the Year | Richard Griffiths & Co. 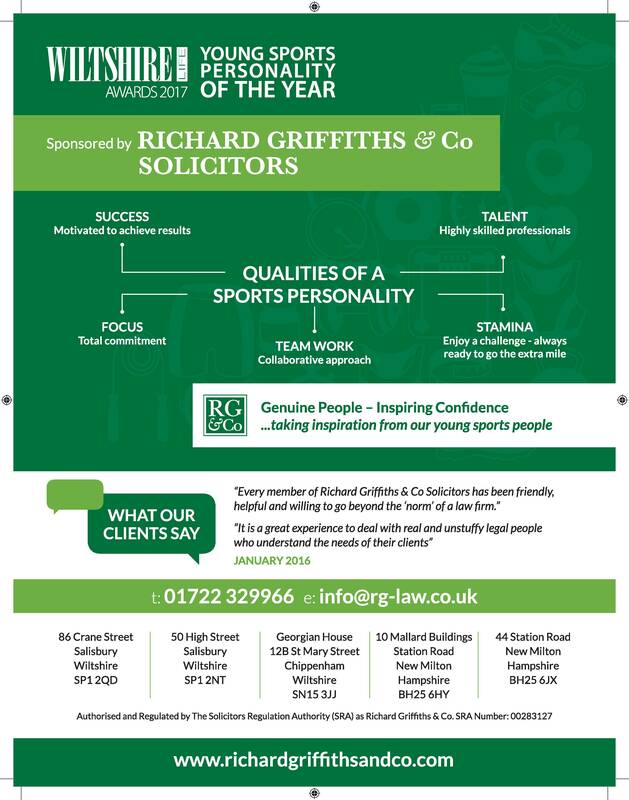 Supporting the Wiltshire Life 2017 Awards, Richard Griffiths & Co is sponsoring their Young Sports Personality of the Year. This award will be presented to an individual, professional or amateur, in any recognised sport who has made the most significant contribution to sport as a result of individual or team achievement. Additional merit will be awarded where sport has been used in a community sense or to place Wiltshire on a national/international platform. The nominee must be 25 or younger on the closing date for entries.